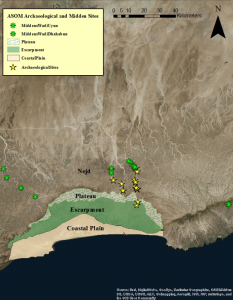 A SOM is an interdisciplinary project which includes groups focusing on archeology, paleoecology, and agent-based modeling in order to understand the history of human and natural environments in the Dhofar region of Oman. Dhofar (as seen in the map to the left) is an area in southern Oman which borders the Arabian Sea. The vegetation of the region shows a strong gradient due to distance from the coast and local topography. The coastal plain and escarpment regions include the densest vegetation and are associated with the summer monsoons, or khareef. However, from the plateau and continuing northward into the Nejd, tree cover decreases until the sand seas of the Rub al Khali. 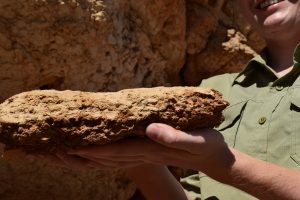 During our past and upcoming field seasons, we collect hyrax middens for paleoecological analysis as well as surveying and excavating archeological sites throughout the area. 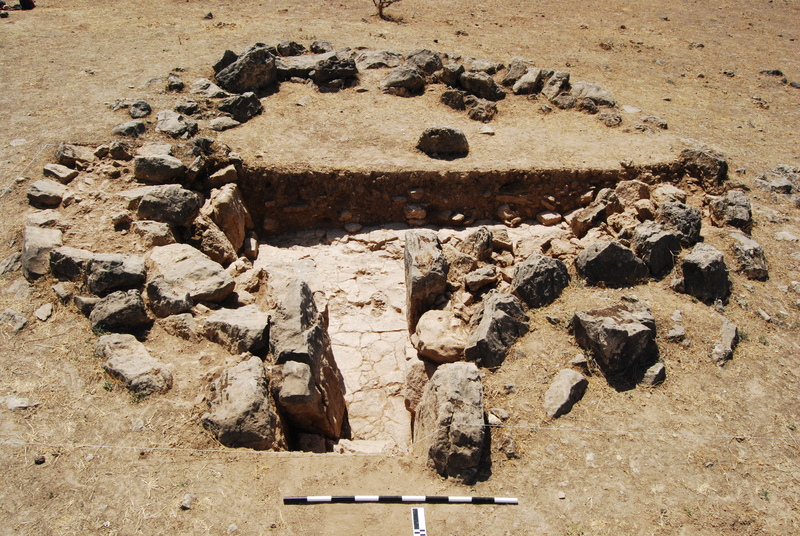 The ASOM team uses archeology to understand how humans used and impacted the ancient environments of Dhofar and the ways in which these environments structured human mobility. People on the move in Dhofar generate and carry few heavy items like stone axes and ceramic pots, and they leave few visible habitation sites. They did build small scale monuments to mark territory, and in rare instances, they constructed solid houses with large stone walls. 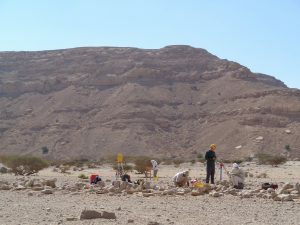 The ASOM team has used systematic archeological survey in the arid interior to document monument sites for spatial patterns of human territory. Furthermore, we have mapped and excavated several habitation sites, notably an impressive camp (D114) north of modern Halqut. 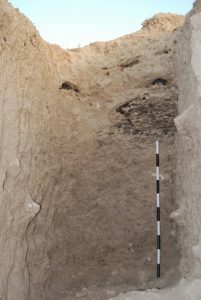 Faunal bone and plant remains from excavations document lives of ancient cattle herders. From excavations and spatial archeology, we will reconstruct episodes of greater and reduced mobility, pairing our archeological data with paleoecology to show how territorial systems mediate human-environmental relationships. We are using fossil plant remains and stable isotopes from novel archives in order to reconstruct climate and vegetation over the last ~6000 years in Dhofar. Termite mounds and ancient soils dotted across the landscape preserve carbonates as well as phytoliths and pollen adjacent to archeological sites on the Dhofar plateau. Further into the desert on northern facing wadis (valleys), fossilized urine from rock hyraxes (Procavia capensis) were collected from rock shelters and will provide us with vegetation and climate information from fossilized pollen, plant remains, and their chemical composition. 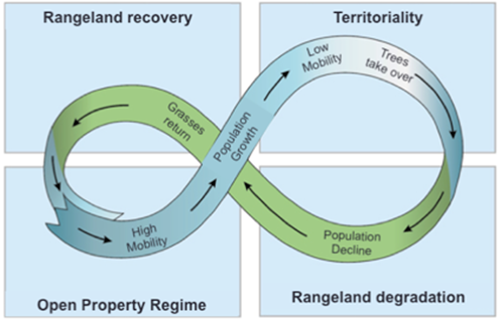 The pastoral system in Southern Arabia is affected by changing climate, which affects vegetation and may shift rangelands from grasslands to forests and vice versa. We will build two sets of agent-based models to examine the interactions among pastoralist densities, property regimes, and arid ecosystems. These models will be used to test the general hypothesis that the couplings among subsystems, alone or in combinations with external, climatic changes, give rise to the observed patterns of vegetation dynamics, changes in mobility, and shifts in property regimes. The first set of simplified models will be based on existing models of arid environments. 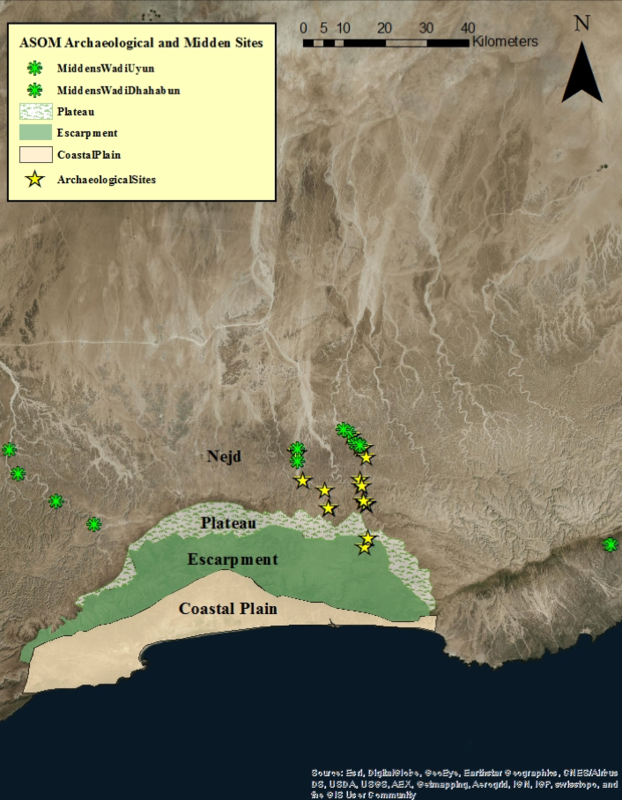 The second set of models will be a representation of our study area in Dhofar and will be parameterized with ecological data and archaeological data produced collaboratively as a part of this project. We will compare the results from the simulations of our agent-based models with the chronologies of territoriality, vegetation and climate. 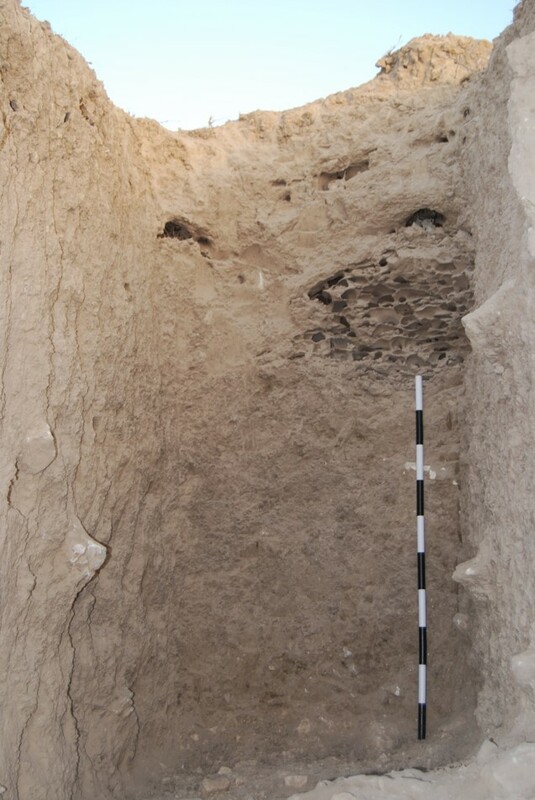 This will allow us to examine to what extent coupled dynamics and/or climate change are responsible for the cycling between open property and closed, territorial regimes in the prehistory of Southern Arabia.